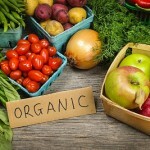 Is Your “Natural” Food Really Natural? Teach yourself to decipher labels at the supermarket – and make wiser choices, our Perth fitness trainer says. The food industry these days is rife with catchphrases making you think you’re buying ‘healthier’ foods. Don’t get suckered into thinking that ‘lite,’ ‘organic’ and ‘natural’ really mean what you think they do. Clever food manufacturers have jumped on the ‘healthy’ bandwagon, even if said products aren’t any healthier than the original versions. 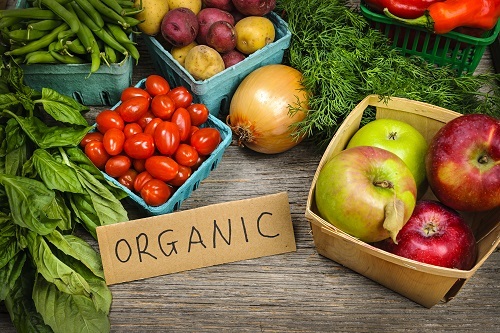 The word ‘organic,’ within the last 10 years, has come to the forefront of the industry. Savvy marketers know the mere mention of ‘organic’ foods appeals to those who consciously choose not to consume pesticide-laden foods. Non-GM (non genetically modified) is another buzz phrase that has caught on, especially in the United States, where ‘frankenfoods’ are created thanks to the wonders of chemistry. Is it organic or not? That’s one important question to ask, especially if you’re intent on eating only organic foods. Sadly, what is labelled ‘organic’ may not always be so, at least to the standards you’re expecting. In Australia, a product is only 100% organic if it’s labelled with the Australian Certified Organic mark. If the food product you’re looking at claims to be organic but doesn’t bear this certification, then be wary. True Australian Certified organic foods are free from GMs from beginning to end, including the soil they’re grown in and the fertilisers used to grow them, as well as having been produced without negatively affecting the environment. Is it natural or not? The word ‘natural’ is the most misused word in the food industry. Who wouldn’t want to eat something that claims to be ‘all natural,’ having been borne of the earth? Think again, because natural often means only one component of the product is truly natural. Your strawberry ice cream might claim to be natural, even if only the strawberries themselves are. The rest of the ice cream might be composed of chemicals and fillers – definitely not natural. 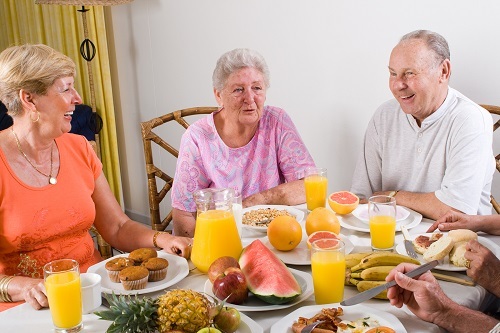 Are You Eating for Your Age? Put away the cupcakes and potato chips and start eating the right foods for your age. If you’re approaching or have hit menopause, your body’s going through the most changes ever since puberty. 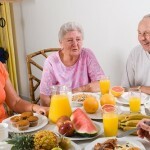 It’s time to take extra care of yourself – get rest, start a fitness program and eat the ‘right’ foods for your age. From your 20s through your 40s, your body is at its most efficient. Standard health and dietary recommendations will usually work for you. Eat lean meats (unless you are a vegetarian) and fresh, whole foods, especially fruits and vegetables. Avoid processed foods and refined sugar. A green-sourced multivitamin can be very helpful, too. Now that menstruation has ceased, cut back sources of iron – such as red meat – that helped with blood loss. Make certain to get enough protein whether you’re an omnivore or a vegetarian, and mind your calcium intake, which guards against bone loss. Doctors recommend increasing your consumption of antioxidants which protect against chronic illness and diseases such as cancer and cardiovascular disease. Foods with phyto-oestrogens, such as tofu, edamame and other soy products, assist with balancing hormones and easing some of the unpleasant effects of menopause. Plenty of fresh fruits and vegetables – especially those with a high water content, such as green lettuce and watermelons – help the water content in your body to flush away toxins. Try to avoid eating loads of spicy food, which warms the body and mimics hot flushes. Avoid drinking too much alcohol, and instead go for filtered water and sugar-free fruit juices. Caffeine should be consumed at a minimum, but if you need your morning cuppa, green tea is a better option. You’re past menopause – yet taking care of yourself is more critical than ever. As you age, you’re more susceptible to common colds, flu and serious ailments such as high blood pressure (hypertension) and arthritis. Bowel health is important at this age, so stock up on high fibre foods and whole grains, which help keep your system moving along. 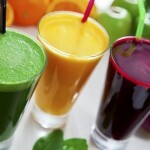 Continue taking antioxidants, found in blueberries, acai and green tea, which guard against memory loss. Can Getting Rid of One Bad Habit Make it Easier to Get Rid of the Next One? If you exhibit ‘bad’ habits regularly – biting your nails, smoking or forgetting to floss – and you’ve tried to break them, chances are it won’t be easy. If you do end up beating one – is it possible to break another? The beginnings of habits are deeply embedded in your brain, psychologists say, and usually stem from early childhood. Psychologists say it’s because the brain is wired to take shortcuts for efficiency. If you bite your nails now as an adult, perhaps as a youngster it was too time consuming to clip and file your nails with an implement. Or you neglect to floss your teeth because simply brushing was easier and completed the entire teeth cleaning procedure more quickly. Habits are formed, they say, by continually doing the same action. Suppose you want to change a particular habit and you have full intention to. It won’t be easy, because the brain has been ‘trained’ to believe the way you’ve been doing it is the easiest way. 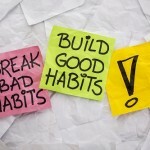 Habits also occur because of the goal of positive outcome. That’s your brain again, thinking that smoking a cigarette on your work break signals the end of the monotony of your office routine. If the habit is bad, your brain doesn’t know otherwise. It’s being rewarded with something in answer to something else. Is it possible to redirect the brain towards eliminating the bad and replacing with the good? It’s entirely possible, psychologists say, and it takes a little mind over matter – this time, your conscious mind. 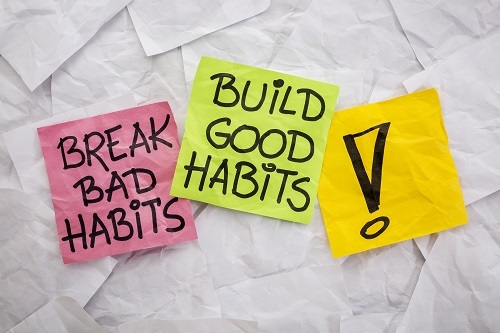 Identify a good habit you want to replace the bad with. When the ‘bad’ pops up – consciously direct yourself towards the new, ‘good’ habit. It will take about two months to break the old and adopt the new. 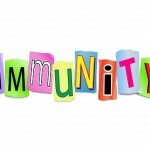 For more good-to-know fitness and health info, contact or drop by our fitness community in Perth. Hypertension affects almost 3.5 million Australians. How to not be a statistic. Making changes to your lifestyle is easier than you think if you suffer from hypertension or high blood pressure. This serious, often life-threatening condition can be kept in check simply with close monitoring and a few simple detours from your normal habits. Frequent – some suggest twice-yearly – checkups with your doctor are the first line of defense when you are faced with hypertension. Those DIY blood pressure machines you find at the chemists are unreliable; you need medical expertise to decipher where you’re at with your blood pressure. 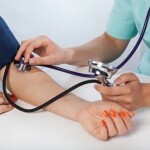 Hypertension, as common as it is among Australians (especially women), is easily treatable. If your doctor suspects your hypertension is best treated with medication, ask as much information as possible. 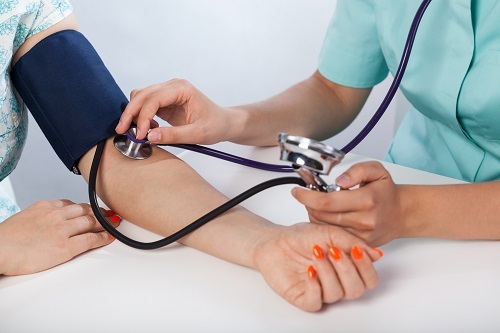 If your doctor believes you can bring down your blood pressure without medication, here are some factors they may suggest. Keeping active physically – exercising for at least 30 minutes daily – is huge in the prevention of high blood pressure and other cardiovascular issues. Not only does it have to be strenuous activity, but it can be as simple as walking your dog or gardening. Diet plays an important part of a healthy heart. Eating fruits, veg, wholegrains and keeping meat consumption to a minimum are ideal. It’s true as well, that too much sodium are detrimental to those with already-high blood pressure. Limit your salt intake by choosing no-salt or low-salt foods, especially processed foods, which are loaded with sodium. Losing weight can be part of maintaining your blood pressure. Getting and staying on a fitness program can actually help reverse and prevent hypertension. Ask your doctor about the best exercise plan for you. Imbibing on too much alcohol is a trigger for hypertension. Physicians recommend abstaining at least two to three days per week; try to limit yourself to one beverage only at cocktail hour. For further info, contact our Perth fitness gym: (08) 9342 9028. Whether you work at a desk or not, your job could be making you fat! Scenario: Business meeting runs overtime, but everyone is allowed a 30 minute break to grab lunch. Of course you didn’t bring from home, so you dash to the closest takeaway and run back to the office. Problem: Takeaway food tends to be high in fat, loaded with salt and generally none too healthful. Another worry is if you eat at your desk, you may tend to mindlessly gobble whilst poring over Internet news. Before you know it, lunch is gone and you’re still hungry. Solution: Try to pack a healthy lunch the night before, such as a soup/salad combo or even last night’s (homemade) leftovers. 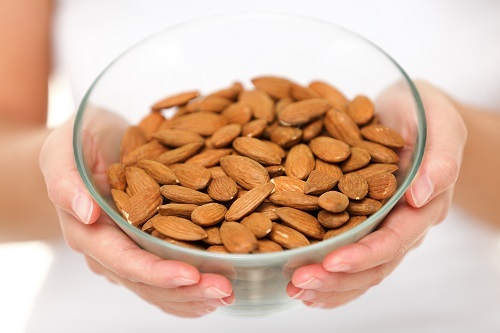 Bring healthy fill-in snacks such as nuts or fruit, which contain fibre to keep you feeling fuller. Scenario: You work at a call centre or another job that requires plenty of time behind the desk. Essentially, you’re ‘chained’ there without frequent reason to stand up and walk around. Problem: Whilst sitting for lengths of time, your muscles “sleep,” causing your metabolism to sink. Solution: Take a few minutes – even if it is just one minute – to rise from your desk and do a moving activity. Walk around the office to get tea; go up and down a few flights of stairs; or, if you can, walk around the outside of your building at least once. Moving around in short increments throughout the day decreases the risk of type 2 diabetes as well as deep vein thrombosis. What Proteins Enhance Strength Training? To go the extra kilometre, try filling up on these proteins before and after. Your fitness program probably includes plenty of tricks of the trade to help you make the most of your workouts. If you strength train or lift weights, why not take advantage of these foods that give you extra strength and repair muscles. Dairy is full of proteins that assist your muscles in adapting to a strenuous workout. 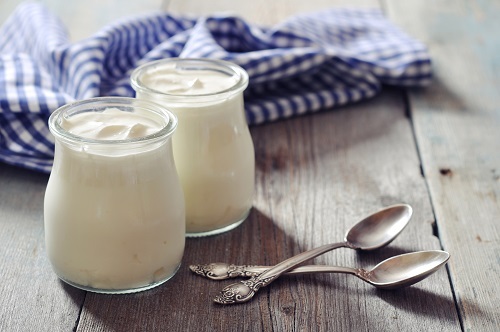 Milk and yoghurt contain essential amino acids that help muscle rebuild. Get your dairy in delicious ways by making a milkshake of fresh fruit and low fat milk; mix fruit with yoghurt; or simply have it plain. Pre-mixed yoghurt with the fruit already in provides just enough sugars for refuelling your body. 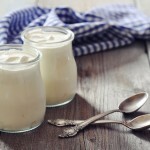 Greek yogurt is ideal, with its protein content twice that of regular yoghurt. On the protein superfoods list are legumes. Peas, beans, lentils, garbanzo beans – they are all naturally packed with protein and fibre as well as B vitamins for your nervous system and magnesium for healthier bones and joints. Plus, they’re versatile; if you don’t want a hot meal before or after a workout, legumes and beans are excellent in a salad. Eggs top the list for sources of protein, with their amino acid building blocks. Your muscles will thank you for providing around 7 g protein and 5g fat per whole egg. Eggs are as versatile as any food can be; eaten hot or chilled, in a variety of styles and are complementary to most other foods. If you’re concerned about cholesterol, just use the whites to make a tasty omelette or to put in your protein shakes. For vegetarians and vegans, soy products are packed with protein. Firm tofu and tempeh contain as much or even more protein than beef. Combined with a protein-rich veggie such as broccoli, tofu and tempeh are kind to the heart and vascular system and deliver loads of low fat protein. Want more tips? Call our women’s fitness centre in Perth: (08) 9342 9028. Can These Foods Reduce Stress? When you feel the pressure of daily life coming on, try to make wise food choices. If you’ll recall our earlier blog about emotional eating, you read that oftentimes eating is used as a coping mechanism during a stressful time. Some folks use food instead of alcohol or tobacco to de-stress, and the results can sometimes be just as harmful. But did you know that there are a wealth of foods that can actually help calm your nerves and overthinking brain? Without reaching for that pint of double fudge ice cream, you’ll find these foods are beneficial to physical as well as emotional well-being. Feel free to indulge in them when the world rests its weight on your shoulders. Although they often qualify as ‘comfort foods,’ stay far and away from refined, ‘white’ food such as breads, pasta and potatoes. Go for wholemeal versions instead. Why? The intact fibres of grains such as wheat contain B vitamins, which help keep your nervous system stabilise. Wholemeal pasta, when combined with vegetables such as stewed or sautéed tomatoes, provides plenty of complex carbs which will help you burn energy more efficiently, as opposed to white pasta, whose sugars will lift you up and later make you crash. Wholemeal bread and pasta boosts serotonin, the relaxation chemical in your body. You might not have known, but consuming a handful of raw nuts will give you a boost of magnesium, acting as a natural muscle relaxer. 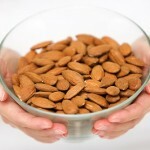 Cracking a bunch of almonds or Brazil nuts can also be a calming practice, much like drawing or knitting. Fresh fruits such as oranges (Vitamin C) and bananas (magnesium and potassium) are positive powerhouses that will keep your blood pressure at an even keep and your muscles relaxed. Don’t forget the magic of leafy greens! When topped as a salad with a dollop of non-processed cheese, the chemical tryptophan goes to work, making you feel calm. For more stress-reducing tips, visit our Perth fitness gym or call us: (08) 9342 9028. 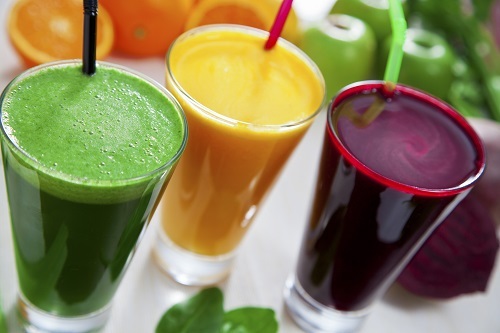 Can you ‘drink’ your way to better health? We’ll explain. Wouldn’t that be great if we could get our nutrition from a simple pill or even a beverage? Unfortunately, the reality is a bit more like what we’ve been doing all our lives: eating solids, and in food form. Liquid meals do have their place in your nutrition and fitness program if you choose; but not exclusively. Here are some things to consider. Just because it’s liquid, doesn’t mean the calorie count is lower. You’re still consuming all the calories of that banana or avocado; blending it with water into a smoothie doesn’t negate the calorie count. Make certain to measure carefully as you would when preparing any other sustenance. If you’re not used to juicing or drinking smoothies, the bland taste might throw you off and you could be tempted to add in peanut butter or some other sweet additive, which can pack on extra sugars and calories. If you crave something sweet in your drinks, use fresh fruit – but sparingly. Don’t discount the health advantages of that timeless standby: the soup. Avoid store bought soups loaded with salt and preservatives and try making your own from scratch. Vegetable broth from the bits of leftovers makes a good basic stock for any soups or even on its own. Miso – fermented soybean paste – has beneficial antioxidants – but can also be high in sodium. This is the trick to keeping on your liquid diet, because if you’re always feeling hungry after, then something is missing in the mix. Add in a tablespoon of protein powder, a nut butter or even a free-range egg to give your belly a feeling of being satiated. Obviously, if you’re pregnant, nursing or have diabetes, a liquid meal replacement is not something you should consider. To learn more about fitness and health, visit Warwick Women’s Workout, our Perth fitness gym. Take time to treat your body the way it’s meant to be treated. If you’ve slacked off your exercise regimen during winter and are kicking yourself for it, give yourself some room. Learn to love your body and yourself, and your fitness goals for the upcoming year will be that much easier to manage. Write down your wellbeing goals – what do you want to achieve and what needs to change? Things like: the amount and quality of sleep you get each night; your diet; and your stress and energy levels. Do these need to change or improve? Then write down how you plan to make those changes. Seeing your goals in print makes it easier to execute them. It’s difficult to expect yourself to ‘go all the way’ right out of the gate. For instance, if you want to cut out meat or animal products from your diet, it’s easier to do so gradually. Your newfound vegetarianism will come more easily if you allow yourself to adapt gradually to the changes. Is your goal to lose 10 pounds? Twenty? Don’t expect it to happen immediately. All good things come to those who are willing to wait – but also to those who work diligently to achieve them. Keep in mind, a routine rut is inevitable now and then the course of life, but it needn’t be a permanent condition. You’re human, and most people encounter a rut (or two) sometime in their lives. It might sound silly, but being good to yourself is critical on the road to change. You’re more likely to stick to fitness or nutritional goals if you realise your self-worth. Make a point of telling yourself daily that you are smart, strong, intelligent, and you deserve respect and the very best you can get out of life. This may be the hardest thing of all! But it can happen with positive reinforcement and sticking to your fitness goals. Again, this is where your journal comes in handy. Do you have a visual of how you’d really like to look? Of course you do! Document it in your notebook. Loving yourself and your body go hand in hand. You have to live in the skin you’re in for the rest of your life, so even if you’re a little out of shape, don’t fret over it. Find the things that already appeal about yourself physically and embrace them. Learn to have a good relationship with food. This means treating your body inside and out with healthy foods that keep all of you at optimum health. Stay away from processed, GM and chemically-enhanced foods. Your body deserves better! Treat yourself to the foods you love, but do it healthfully. Listen to your body and feed it what makes it feel and look good. Are you one of those women who work a strenuous or demanding job, and by the time you get home at night, are too tired to do anything? Or do you bow out of social events because you’re too busy or just too tired? Don’t be afraid to say ‘no’ to outside commitments. If you’re exhausted, that’s your body’s way of saying, “slow down, I need a break!” Sleep and rest is vital to good health, mentally, emotionally and physically. 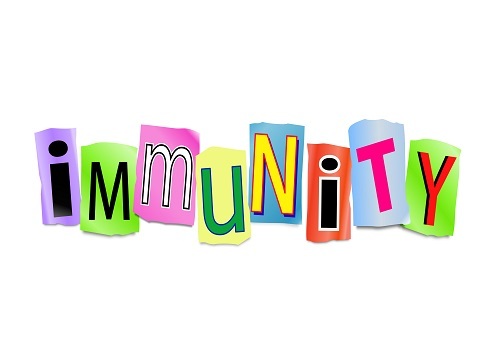 Engage in extracurricular activities when you have the energy to undertake them. Pushing yourself when you’re tired only has negative effects on your immune system. You want the best for your body and soul, but the journey has to begin with you. Taking time to be your own best friend is the first step in the right direction! At Warwick Women’s Workout in Perth, our fitness facility is always open and we’re happy to help you attain your fitness and health goals. Please contact gym manager Michelle Monks and join us in better health. Contact us at (08) 9342 9028. The best defense is a good offense: be proactive with your health and ward off illness. No one likes being ill – it intrudes into our social, family and work lives – and costs time and money, as well as well-being. But with a few smart moves you can strengthen your immunity and nip illness in the bud before it happens with these suggestions. Yoga is wonderful for a variety of reasons – for stress relief, muscle and limb stretching and stimulating your circulation. It’s often called the wonder ‘exercise’ for these reasons and more, and it’s a low impact way to keep your body in tip top shape. Stock your pantry with foods and supplements that not only taste good but will bolster your immunity. Keep away from processed foods with added sugars and chemicals; buy food with natural antioxidants such as blueberries, acai, pineapple and Brazil nuts. Take a nutritional supplement if you feel it will help as well. Drink plenty of water, too! You probably already have a fitness routine that you adhere to – excellent! Active exercisers are less likely to become ill. Steady workouts – even daily walks – are great for your heart, bones and more. Just don’t overdo it – experts say 2-3 hours of exercise per week is sufficient for optimum health. It’s been shown recently that an alcoholic bevvie every now and then helps to boost your immunity. Red wine, especially, has compounds that actually help keep you healthy. But remember, especially at social events and at the holidays, to take it easy and not overdo the booze. Tired bodies need rest, so if you’re beat, you need to make an effort to get a good night’s sleep. Sleep deprivation invites stress and illness – so make sure you get plenty of shuteye (around 7-8 hours per day). Contact Warwick Women’s Workout in Perth for more information. (08) 9342 9028.